The SMS channel provides a way to communicate with your contacts using SMS messages. Note that in order for the SMS channel to be available in your account, you will need to contact your CSM and have it enabled. 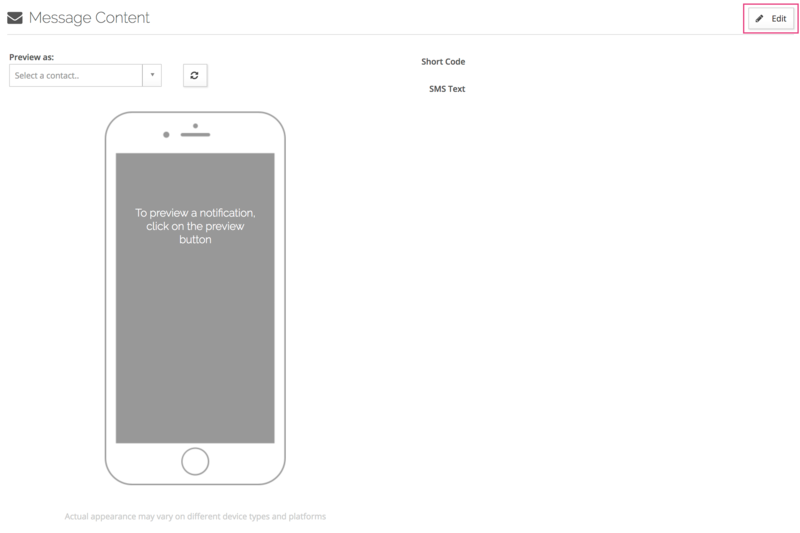 SMS is supported in both Batch Messages and Automated Messages. 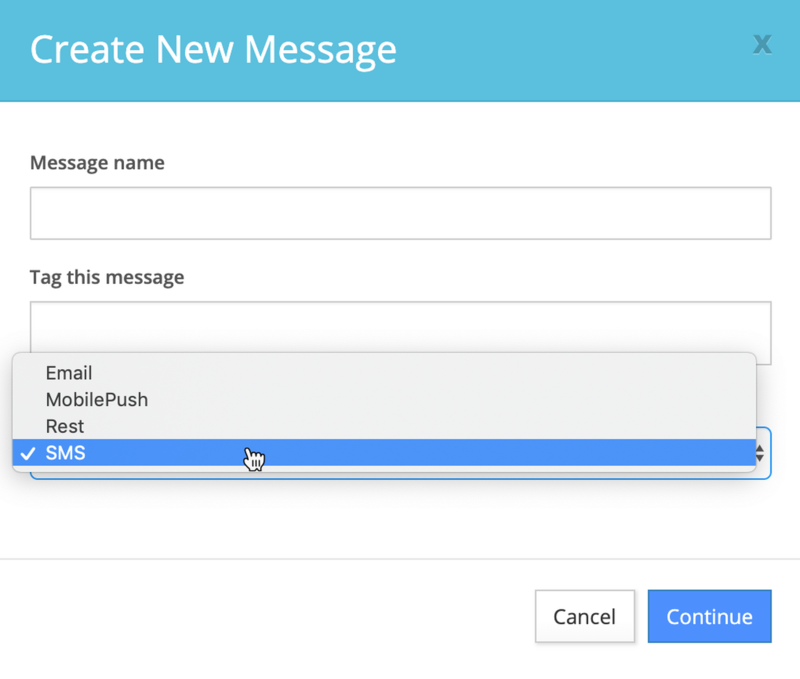 To get started, simply create a new message and choose the SMS channel in the Create New Message window. To create the SMS message content, click the edit button under the Message Content section. Complete the required fields highlighted below. Short Code - Choose the short code you will be sending the message from. 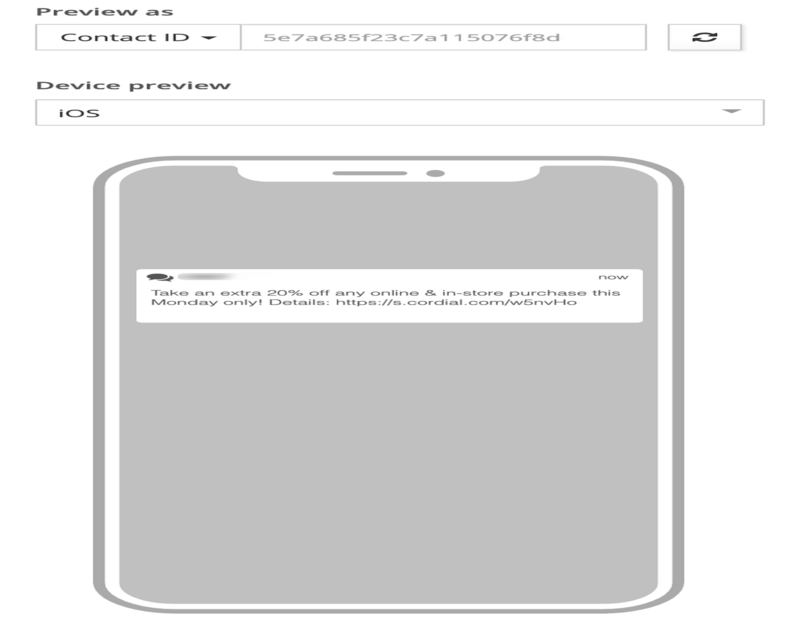 SMS Text - Provide the message you would like to send to contacts. 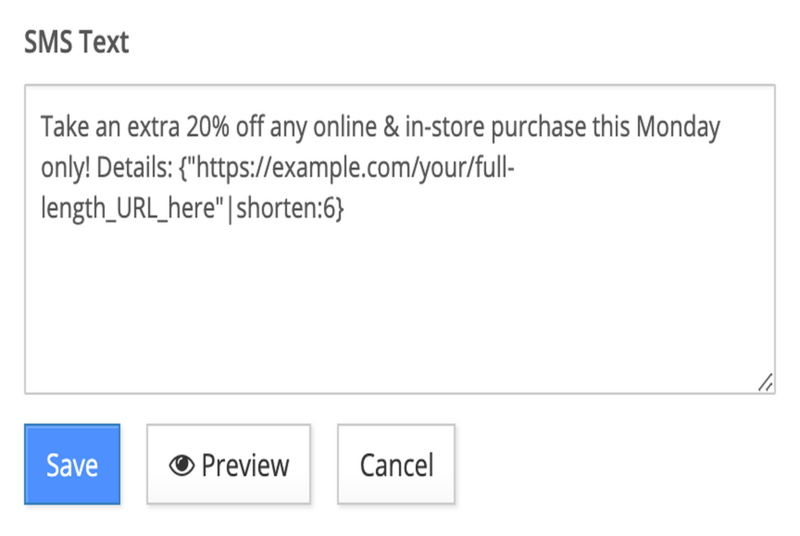 Smarty personalization is supported, but note that there is a 160 character limit on messages. Learn how to shorten web links in your SMS messages by using Smarty. Clicking the preview button will allow you to preview the SMS for the selected contact. Once you are satisfied with your SMS, click Save to save the content and continue configuring your message depending on the message type.